This album is special for so many reasons. Roberta celebrated 25 years for Roberta Flack as a recording artist with Atlantic Records. The album conveys so many different moods and emotions from the beginning, middle, and end of romance. It is probably one of her best recordings and least known. On a personal level, it is in my top 25 personal favorites, I love playing this album, and if I were stuck on a desert island far away, I would want this album with me. A friend and I were recently discussing the music that tells the stories of our lives and I could not readily think of an album/artist that conveyed anything about my life then I remembered how Roberta and her music have really touched my heart over the years. I purchased this album during a period of transition in my life. I was finally getting settled in California. I had just gotten a CD player installed in my car and this album was one of my purchases on that momentous weekend. Like a kid with a new toy, I had to play it in the car as soon as I left the store. It was a warm fall night in early October and hearing Roberta’s sweet voice just made it perfect. Roberta covered the music from the many aspects of her life and wove them into a beautiful tapestry. She takes the classics and brings them alive in her own soulful way. She opens with her poignant reading of Al Green’s Let’s Stay Together.” Next, she tells us about “Sweet Georgia Brown” and let’s us know that the “Thrill is Gone.” She pauses for a moment in “It Might Be You” to ask “Must I stop doing the things that I love to do, for you, with you, so you can respect me? See my needs?” That’s powerful. Another gem is Stevie Wonder’s “Looking for Another Pure Love.” Also included are “I Don’t Care Who Knows (Baby, I’m Yours)”, “Prelude to a Kiss”, “Angel Eyes”, “Tenderly” and my favorite, “Cottage for Sale.” There are also a couple of Rodgers & Hart classics, “Isn’t It Romantic” and “My Romance.” She closes with “You’ll Never Know (‘Til You Let Go.) Every song feels hand-picked for Roberta. 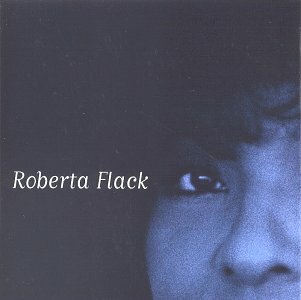 Roberta Flack is on the top of my list for artists that I really want to see in concert. I missed seeing her in Long Beach and San Diego last summer. I am keeping a close eye on Pollstar and if she comes to California this year, I will definitely be there. I also heard that she was going to have some new music coming out but I have not seen or heard anything lately. I dedicated this flashback to my favorite super-mom, A.J., who celebrates her birthday on 03/30. This entry was posted on Friday, March 26th, 2004 at 5:08 am. It is filed under Flashback Friday and tagged with Flashback Friday, Roberta, Roberta Flack. You can follow any responses to this entry through the RSS 2.0 feed. Oh, you are the sweetest!!! Well alrighty then! I feel tingly all over now. Roberta Flack! Must go purchase some of her songs today! Thanks! “It Might Be You” is a beautiful song. Her rendition, though not as popular as the Steven Bishop release, is the definitive version, IMHO. Leave a Reply to A.J.